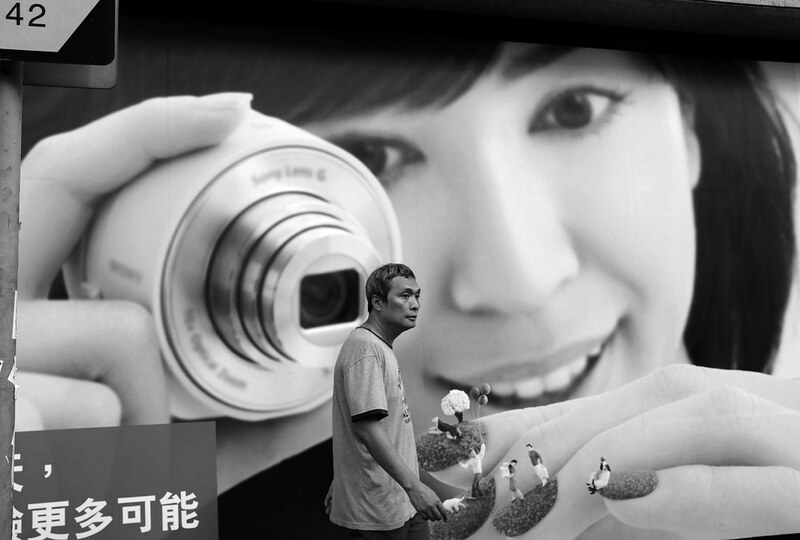 My flickr contact eses moto took this great billboard portrait in San Francisco with his Fuji X100. 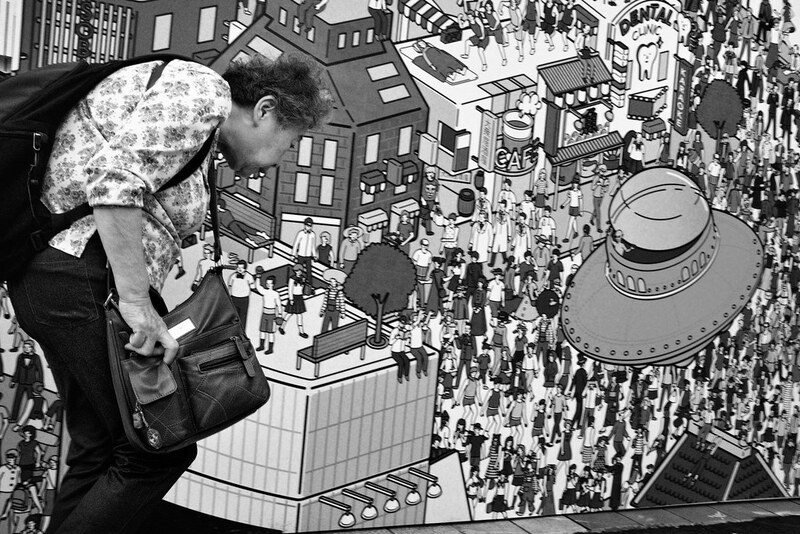 My flickr contact eses moto posted this great street shot from Tokyo, Japan taken with his Fuji X100. Notice the left sleeve and hand on the girl in the back. 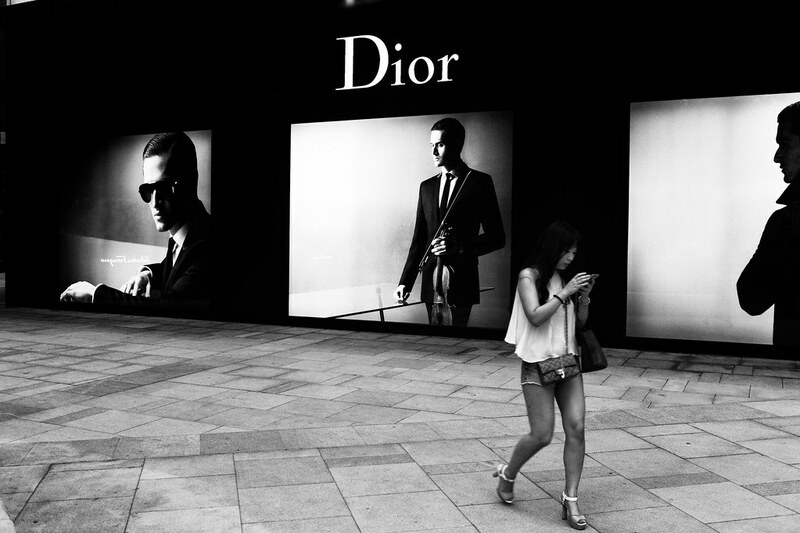 My flickr contact David Evans took this great billboard portrait in Shanghai, China with his Leica M.
I love that she’s oblivious to the great billboard, so wrapped up in her phone but still with short shorts and what looks like a high-end purse. Flickr member Mark Jackson took this excellent billboard portrait at the Tampa International Airport, Tampa, Florida with his Fuji X100. Flickr member Jeffrey De Keyser took this terrific billboard portrait in Brussels, Belgium with his Fuji X100T.